Remember last week's show? I never thought they were all really mannequins!" All said and done, The Twilight Zone was as popular as apple pie. Everybody watched the show. Many people embrace The Twilight Zone with fond and loving memories, probably more so than many other great shows of the era. Few programs had the impact it did, which I feel, is largely due to Rod Serling a man with a special gift, and a master storyteller and presenter of the odd and curious. Not only was Rod a great host, he was an impeccable writer with an oft-imitated style. The Twilight Zone was dependable; it repeated many themes in its five-year run. Loneliness and isolation, the last person on earth, returning to a more peaceful and pleasant past, invaders from another world, nuclear devastation, time travel, haunted objects, life in the future and occult dramas were among its most notorious story lines. Though none of us living in the sixties would know it at the time, Rod Serling borrowed pinches of salt from his Twilight Zone recipes to be incorporated and resurrected into another program that would premiere at the end of the decade: The Night Gallery. Rod Serling (December 25, 1924 - June 28, 1975) was, and still is, perhaps my favorite writer; his style is eloquent, yet impacting like a hard punch to the gut. It has a knife edge flowered with beatific prose-like description of what most would consider blasé everyday existence. Rod was also a trend-setter, in the sense that like Alfred Hitchcock, he became an iconic figure associated with his product. Serling was a competent Television host, and a marvelous producer. He's also a handsome guy who presents well, employing an uncanny knack of satirizing his own material with a courtly sleight-of-hand manner. I speak of Rod in the present tense, for I feel that he will always be with me, and is a strong contributor to the sixties culture. "Serling was active in politics, both on and off the screen and helped form television industry standards. He was known as the "angry young man" of Hollywood, clashing with television executives and sponsors over a wide range of issues including censorship, racism, and war." The teleplay "Requiem for a Heavyweight" was my personal favorite from Serling. It's a sad account of an almost child-like heavyweight boxer suffering from Dementia Pugilistica (punch drunk syndrome) who can't make it in the world on his own. The play won Serling a Peabody award and skyrocketed his career. LET US EXAMINE SOME OF THE MORE POPULAR THEMES OF THE TWILIGHT ZONE. 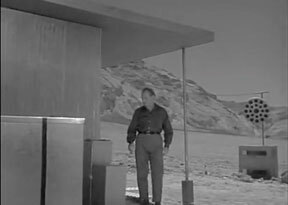 One of the most unnerving of themes is the "last man left on earth" idea where Twilight Zone characters suddenly find themselves in a people-less world with nobody to talk to, nor to explain what happened. Great episodes such as "Where is Everybody? ", "King Nine Will Not Return" and "Time Enough at Last" cover this theme brilliantly. Though the latter tells of a man who is delighted to be the last man standing, twists the ending enough to spoil his beautiful fate. The "Last man in the world" theme also incorporated interesting counter-themes such as the person who is not supposed to be living in the present world; they're either ghosts, machines, or supernatural entities. After realizing this, they find that they must return to their pre-ordained existence. Such classics in this genre are "The After Hours" where a young woman comes to realize she's only a mannequin; "The Lateness of the Hour" gives us a vibrant young woman who slowly begins to understand that she is only a robot-a perfect daughter-built by her designer father. "If there was just someone to talk to, anybody." Isolation was a theme that was played to the hilt with fervor and flavor on The Twilight Zone. There's nothing more maddening than to be left alone, stranded, living in a world where one doesn't belong, or to be in a circumstance where nobody believes your predicament. Classic episodes like "Nightmare at 30,000 Feet","The Lonely","Back There","A Hundred Yards Over the Rim", and "Miniature" cover these themes brilliantly. "Miniature", from the hour-long episodes of season four, is probably a cut above the rest, as the hour-long slot, and the talents of Robert Duvall lend more of a sense of placement as well as misplacement to the theme. For me, one of the most fascinating elements of this theme was the time travel scenario where the traveler is completely unaware that they have slipped into the future or the past. "A Hundred Yards Over the Rim" is a brilliant example. "You're going to think I'm crazy, ...but I was born right here in this town, and nobody has gotten any older." Looking back on these episodes, I believe that every adult wants to revisit their childhood, hometown, or birthplace, and remain there forever. It's not fun to enter the adult world on a permanent basis. 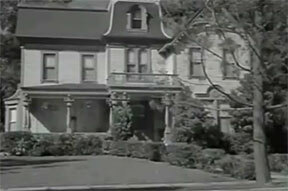 Rod Serling capitalized on these feelings of longing for another time when life was slower and more simple. These types of episodes are probably the most notorious of the entire TZ catalog for being emotive and wistful. Haven't we all been pushed so far to the edge that we'd like to jump off the train to a bucolic little town called Willoughby? How many of us wish to visit the Randolph Streets of our youth and go back to kid games and childish rituals just as Horace Ford did? 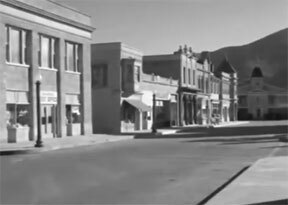 "Walking Distance", "A Stop at Willoughby" and "The Incredible World of Horace Ford" were among the finest Twilight Zone episodes aired. Sometimes the theme would be a bit corrupted such as the case with "Of Late I Think of Cliffordville" where a ruthless tycoon wishes to go back and start over again, for getting there, making his millions, was "the kicker". The going back to the past theme would later be revisited on the series Night Gallery with the episode "They're Tearing Down Tim Riley's Bar" which rightfully won an Emmy award. "They're out there, and nobody knows it but me." Invaders from another planet, voices in one's head, mysterious stalkers, and plots against a person or, persons were great cold war themes that permeated many sixties movies and TV episodes. 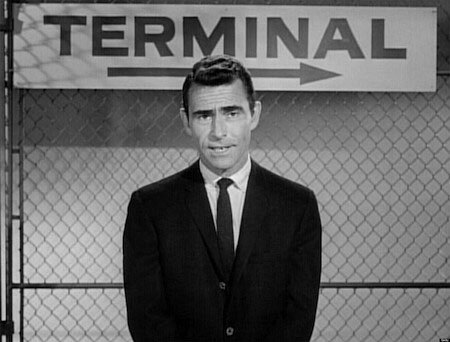 Twilight Zone made splendid use of these themes in its five year run. "The Hitch-Hiker" was one of the most notorious episodes in this genre. "The Monsters Are Due on Maple Street" gave us the hometown, U.S.A. invasion theme dashed with a healthy portion of paranoia, and "don't trust thy neighbor." "The Invaders", "The Fear","Valley of the Shadow",and "Will the Real Martian Please Stand Up?" are all classic episodes incorporating, fear, paranoia, invasion, and another paranoiac runner up: delusion. The 60's were indeed a wonderful era, but fear and paranoia existed just as it always has, and always will in a tumultuous world. 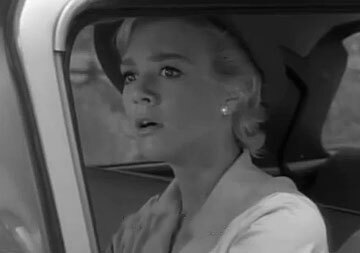 Being chased by an invisible-to-everyone-but-yourself villain, or hounded by demons that no one can see but you, were classic TZ thriller elements that today, usually embody what most people consider, the top episodes of the series. "You're not real! You're not real!" 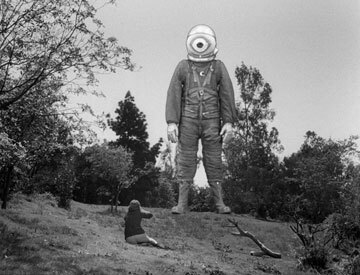 Things that were absolutely out of anyone's control, such as machines, toys, or other objects made for great monsters when they came alive, or were otherwise animated by some secret unknown force. "You Drive" is a story of a car involved in a hit and run. 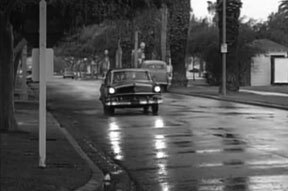 When the owner runs, the car comes alive and becomes his jury and conscience, finally chasing him down the street to the police station. "Living Doll" is a great story about a doll with a mind of its own. Though daddy may hate his daughter's toy, the doll could care less. "Hi. My name is Talky Tina, and I'm going to kill you." and "A Thing About Machines" is a little tale about machines with minds of their own. One man hates "gadgets", and wants to be rid of them altogether. Unfortunately, they have a different idea. All of these were great episodes dealing with relentless, but living, vengeful objects. "Pinto's a waitin' on ya'." The genius of Rod Serling poured like fine wine when it came to his western themes. 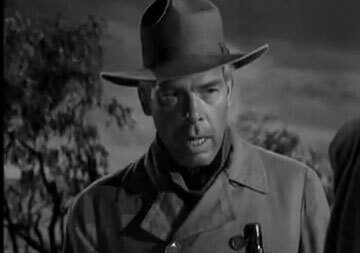 Rod knew that there was horror in the American West, and knew exactly how to pen it for the screen. 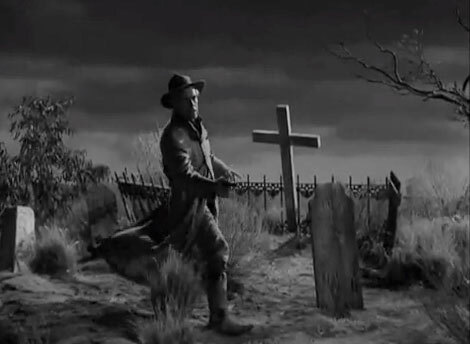 To date, my favorite Twilight Zone episode is: "The Grave". If you can let your own imagination run free, you can find sheer horror in this episode as well. There's always the fear of the unknown for any man. On a bet, Connie Miller is challenged to visit the grave of his long time foe Pinto Sykes. Pinto had sworn a graveside threat, that if Connie ever came to visit, he'd reach up through the ground and grab him. Here's where the show takes off. Blessed with the talents of Lee Marvin and a few of the finest character actors on the planet, this episode is so filled with flavor, that every single shot is worthy of framing, and hanging on the wall. Revisiting Night Gallery, a similar in feel classic is an episode titled: "The Waiting Room". Another Serling western has an absolute feeling of dread and horror, and in a small sense, claustrophobia since the action never leaves a small saloon-with the exception of the beginning and end. It doesn't take long to figure out what's happening in the plot, and the plot is genius. The only criticisms I have of The Twilight Zone are the comic episodes. With the exception of a small few, I never liked the comic episodes of any anthology show. Speaking only for myself, comedy should have a very small, (if any), chapter in horror.